Friendship and truth are the two main themes discussed in a research paper on A Passage to India. Choosing India as the backdrop to A Passage to India, Forster provides the grandness he so diligently wants to convey with the magnificent descriptions of the landscape of India to the recounting of the generations of Hindu and Muslims that have occupied this great land for centuries. The theme of friendship begins the moment Forster brings characters into the storyline. The discussion between two Muslim men about the possibility of friendship with any English people starts our familiarity with the characters of the book. Finally the two agree that it is only an exceptional English person who can remain friendly and kind to a subject race. The conclusion of A Passage to India begins with Fielding and Aziz mending their relationship. Forster does not abandon his earlier theme but shows the fragility that is always present in any relationship. The sadness however, is that Fielding was now also leaving India. The suspect was to follow Adela to England and marry her. This is another offering by Forster of the mystic contributions of the Marabar Caves. Aziz moves on in his own life with the valuable lessons learned from the friendships of two fine English persons. It is not Adela that Fielding marries but it is Mrs. Moore’s daughter Stella and Aziz cultivates a new friendship with her son Ralph. It is the underlying truth of Mrs. Moore that eventually leads Aziz to release all of the corruption that came from the Macabar Caves and reconcile his distaste for Adela and Fielding’s misinterpretations. Forster brings the circle to completion with the friendship and the truth restored between the Englishman and the Indian. Aziz, a young Indian man also visiting Mahmoud Ali and Hamidullah, wished to forget the English people who swarmed down over his homeland like a giant net. It is Aziz however, who learns the biggest lesson in friendship and truth. When Aziz meets up with Mrs. Moore, an older English woman, at a mosque at night, he finds his first experience of a kindred heart. This changes his perception of making friends with anything English. There is an immediate connection felt by both Aziz and Mrs. Moore. The author avidly pursues this theme of friendship between these two characters which forms one of the strongest conflicts in the novel. Forster entertains the Indian symbolism off the cyclic unity of life throughout his novel entwining the themes of friendship and truth to create a full circle. All through his novel, Forster attempts to patch this broken circle with the values of his main themes. The setting of the Marabar Caves is the center of the novel’s essence. It is in the caves that the absolute truths must be found. Forster does not make this clearly apparent however, and the characters are made to look into themselves to find the answers. It can be fathomed that Forster was finding his own answers as he continued to write his novel. The Marabar Mountains themselves carry much history and religion to the Hindu people. They hold the universal symbolism of truth in the Hindu culture. It is the essence of all life and life forms. This is why Forster knew to make the crux of his novel’s theme develop inside the Marabar Caves. Inside the caves Aziz realizes his feelings of friendship for Mrs. Moore and Fielding. Like most Orientals, Aziz overrated hospitality, mistaking it for intimacy, and not seeing that it is tainted with the sense of possession. It was only when Mrs. Moore or Fielding was near him that he saw further, and knew that it is more blessed to receive than give. These two had strange and beautiful effects on him-they were his friends, his forever, and he theirs for ever; he loved them so much that giving and receiving became one….Their images remained somewhere in his soul up to his dying day, permanent additions. Forster so eloquently brings the fullness of friendship to the forefront with the precious thoughts building in the mind of Aziz. By Forster portraying Fielding as an Englishman himself questioning the English authority, the theme of eternal friendship continues on towards the completion of the circle of truth. We see once again how the author intertwines the two themes to create one cycle of unity. The experiences at the Marabar caves symbolizes a cathartic moment in each character’s life perhaps brought on by the mental incapacities of the Indian midday heat, which can cause tremors of haze and fatigue. At the trial Adela is bolstered by the memory of Mrs. Moore’s calming spirit to speak the truth and as she recounts the events of the cave expedition. During her recollection she sways between lucidness and some state of mental crisis, evident to the courtroom. The charges against Aziz are dropped and Adela is flung towards Fielding by the mob of Muslims intent on freeing Aziz. The author now must tend to the clearing up of all his loose ends so the circle of unity with his themes of friendship and truth can be completed. It is at this point that the reader learns of Mrs. Moore’s death. Her son breaks his engagement with Adela and Adela conveniently exits the book. Forster is clearing the stage of his novel quickly but the climax is yet to come. When Aziz learns of the rumor about Fielding and Adela he warns Fielding of such talk. Fielding does not take his concerns lightly and a quarrel ensues. Is the author testing the theme of friendship or is it his design to never complete the circle of truth and give into the stereotyping of the clashing of two cultures? Muslim World - Muslim World Research Papers academically compare and contrast the Muslim World to the Christian World. Interview a Muslim - Interview a Muslim Research Papers preview a sample of a religion research paper on a muslim woman. Why Muslims Hate America - Why Muslims Hate America research papers outline and explain Islamic Fundamentalism and the reasons behind why Muslim's may not like Westerners. 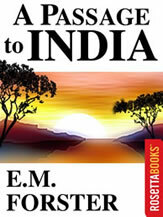 Paper Masters writes custom research papers on A Passage to India and covers and discusses E.M. Forster's novel.